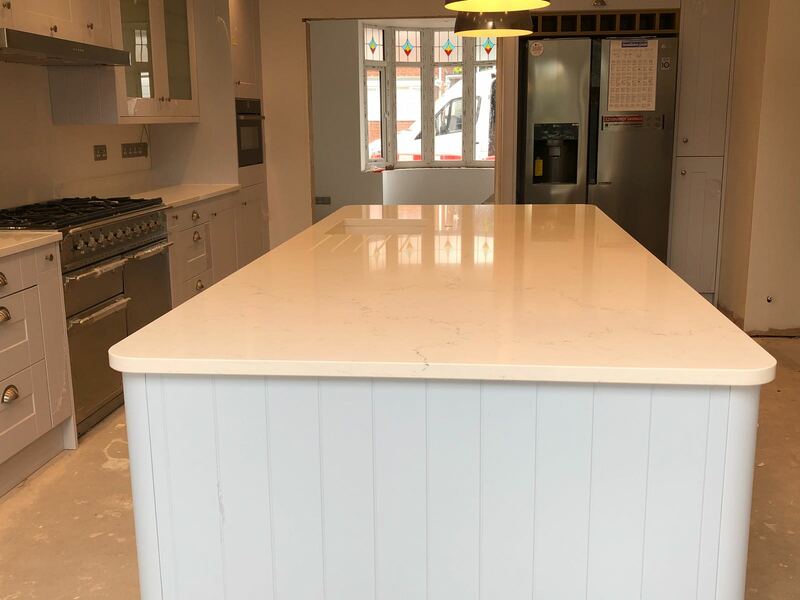 Unistone Carrara Misterio quartz worktops are the latest in the marble looking worktops to hit the UK in recent years. 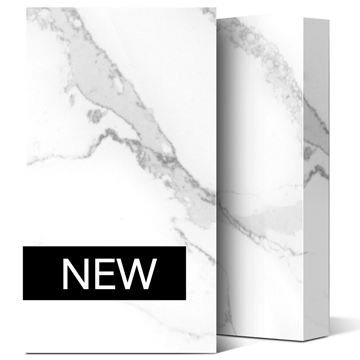 Unistone are fast becoming a leading supplier of Quartz work surfaces with a keen focus on price and quality. This particular shade of Carrara white is brighter than most alternatives and is fast becoming a popular choice amongst our clients. 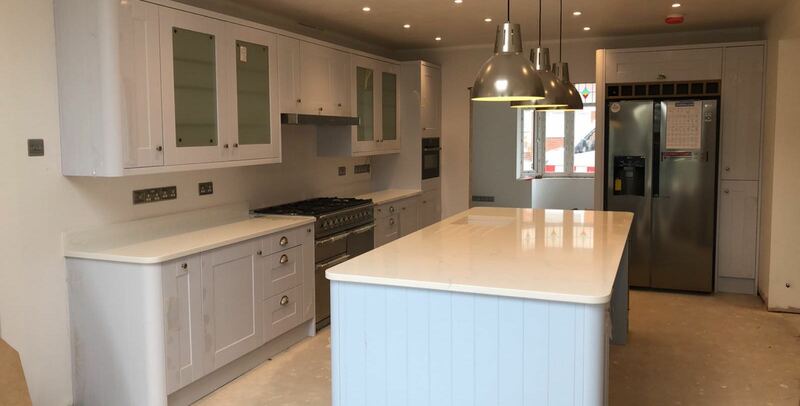 Available in both polished and matt finishes, Unistone Carrara Misterio worktops feature a bright white base colour with subtle shades of delicate blue and grey veining throughout.  Unistone is an extremely hard composite stone consisting of up to 90% natural quartz. Manufactured in Vietnam, the quality associated with the brand is made possible by the famous Breton technology that is used in the production. Unistone is a very hard quartz surface and offers a variety of colours. Unistone is safe for food preparation, antibacterial, acid-resistant and scratch and smudge resistant making it ideal for a busy family kitchen. 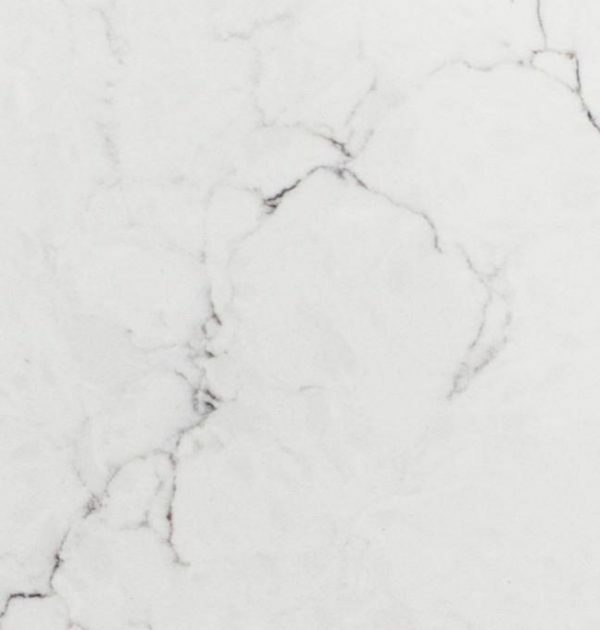 Unistone Carrara Misterio is available in thicknesses ranging from 30mm and 20mm, so alongside Unistone Carrara Misterio kitchen worktops, you also have options for a range of applications including Carrara wet rooms, Carrara window sills, Carrara wall claddings and much more. Pencil edge profile or Chamfer edge profile is included in all of our pricing. 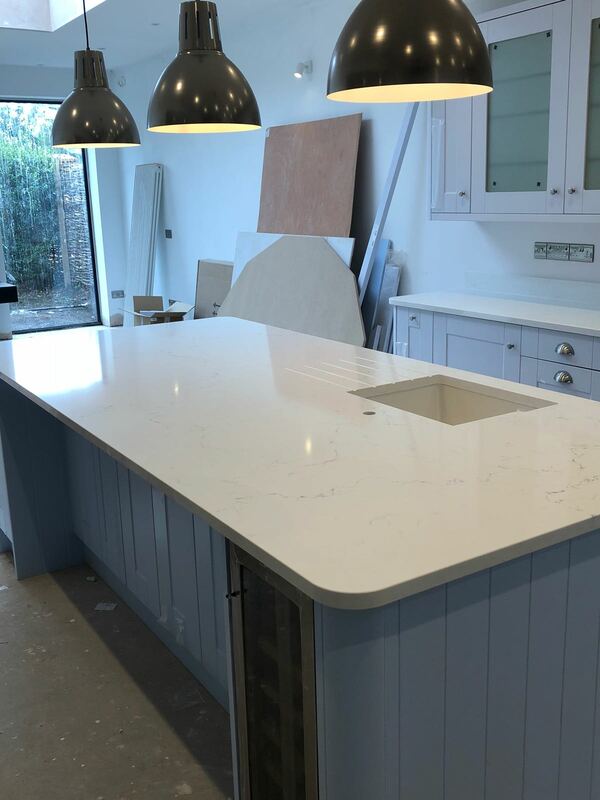 Carrara Quartz kitchen worktops are very popular and there are a selection of options to choose from. 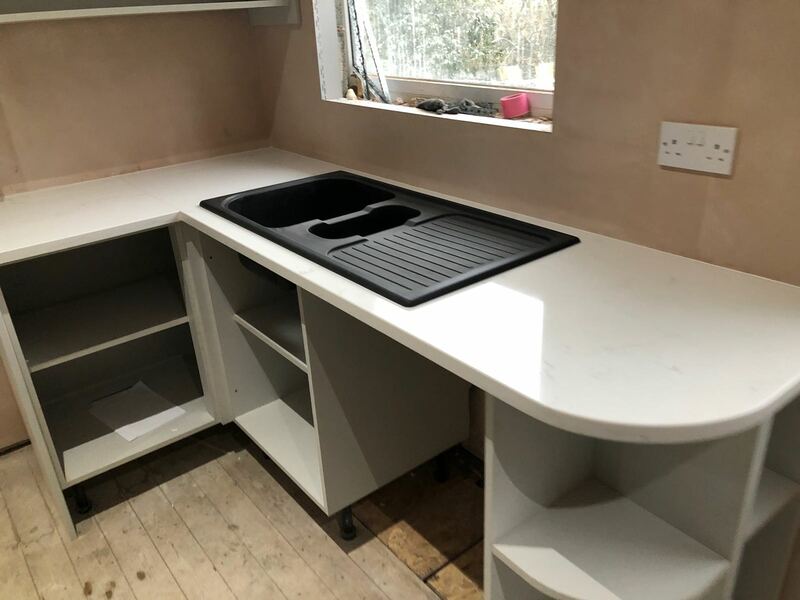 If you are undecided between the various options on offer then why not book in a site visit with one of our specialists, you can expect to experience the finished look with sizeable samples and unhurried professional advice. 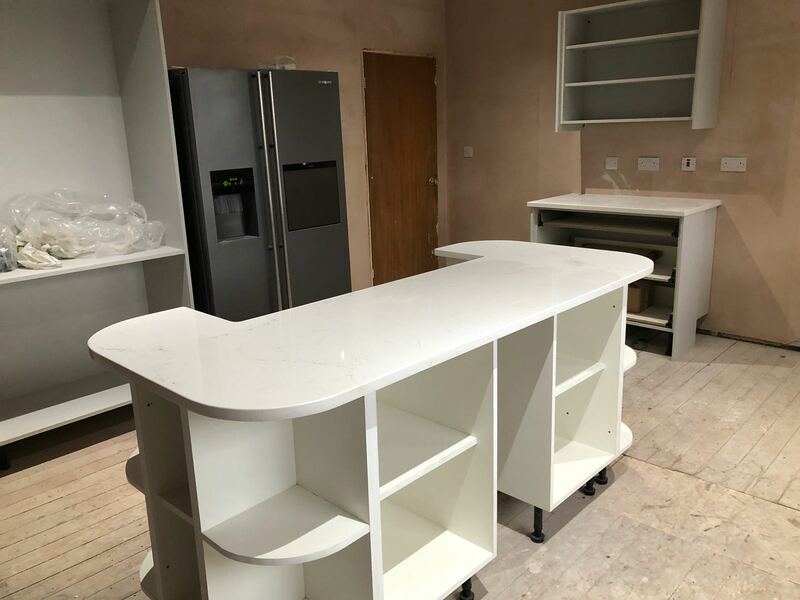 If you are based in the Birmingham area we would always recommend viewing a large slab of your Unistone colour and perhaps reserving your slabs if you find a particular shade or pattern which suits. 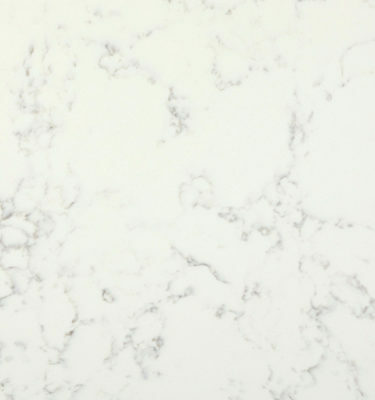 If you would like to view slab formats of Unistone Carrara Misterio, we can arrange for this by prior appointment too. 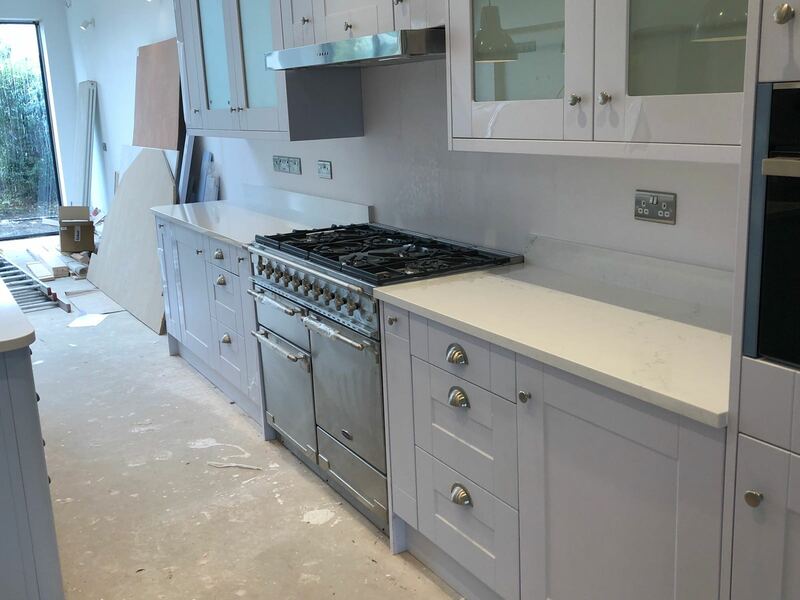 To request a free sample or to arrange a viewing in slab format, please do not hesitate to call 0121 630 2251 or complete our contact form here.